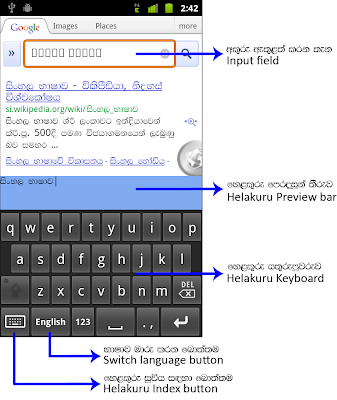 Bhasha Official Blog: Bhasha launches Helakuru, the First & Only phonetic Sinhala Keyboard+IME for Android! Bhasha launches Helakuru, the First & Only phonetic Sinhala Keyboard+IME for Android! We are so glad to announce you that today we launched the first ever phonetic Sinhala Keyboard & IME for mobile phones, Bhasha Helakuru (භාෂා හෙළකුරු) at BMICH - Colombo in the presence of Minister of Science & Technology Prof. Tissa Vitarana & Minister of Telecommunication & IT, Ranjith Siyambalapitiya. 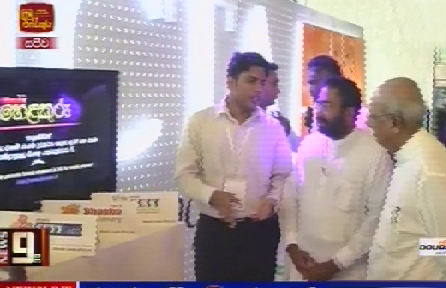 Dhanika Perera, Founder & CEO of Bhasha introducing Bhasha Helakuru to Minister of Science & Technology, Prof. Tissa Vitarana & Minister of Telecommunication & IT, Ranjith Siyambalapitiya. Bhasha Helakuru is developed for the Android powered mobile devices & it can be used on any device having Android version 2.1 or above. With the introduction of this new mobile Sinhala Keyboard+IME for Android mobile phones, Sinhalese mobile phone users can now not only read Sinhala text on their mobile phones (with our own product Bhasha SETT Browser), but also type in Sinhala Unicode directly from their phones system wide on Android OS. Bhasha Helakuru uses a specially designed phonetic keyboard layout for mobile devices since it is not practical to have the standard Wijesekara keyboard layout on mobiles. How to use Bhasha Helakuru Keyboard? Go to Android Market with your Android device & search for Bhasha Helakuru. Download & install Bhasha Helakuru. Go to Settings > Language & Keyboard and tick Helakuru. Long press in a text box & choose Input Method & then select Helakuru. How can I see the Sinhala Unicode text I type? With the help of Switch language button you can easily switch between Sinhala & English keyboards. Therefore you are now able to use Helakuru keyboard as your default keyboard since it has all your requirements in one place. We've also added a button on the bottom left most corner of the Helakuru keyboard & you can see the Helakuru Suchiya (Helakuru Index) when you tap that button. Helakuru Suchiya includes all the combinations of Sinhala characters & ligatures so that you can find how to type any Sinahala character there. With the launch of this new product, Bhasha counts its 5th revolutionary product & the 3rd local language Android app. 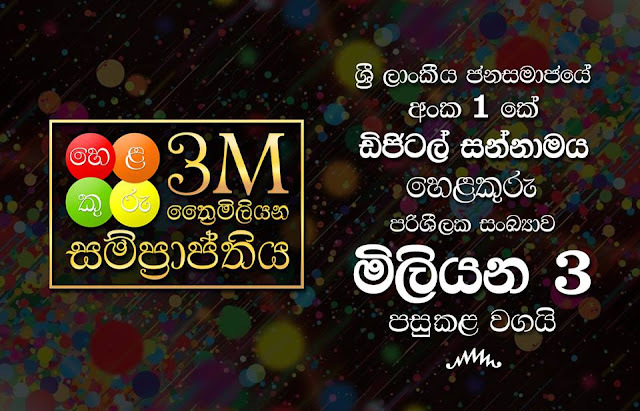 It's really a great achievement of us to being able to enable & empower Sri Lankan Sinhalese masses to use their mobile phones to both read & write (type) their own language, Sinhala with two of our own FREE products Bhasha SETT Browser & Bhasha Helakuru. So now as the pioneers of local language mobile development, we've successfully implemented the basics of empowering the Sri Lankan masses by introducing their own language to their mobiles. Now it's time for us to start thinking beyond the basics.